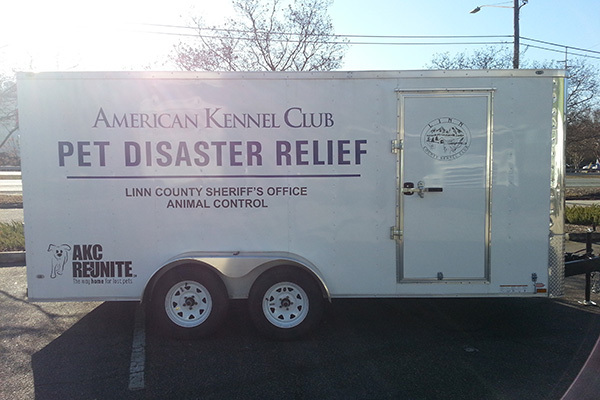 Linn County is now equipped with an AKC Pet Disaster Relief trailer that will be available to dispatch to any disaster scenes that need assistance sheltering pets. AKC Pet Disaster Relief, a national program that is dedicated to keeping pets and their owner’s safe in the aftermath of natural or civil disasters, joined forces with local American Kennel Club dog clubs and dog lovers to present an emergency trailer to officials from the Linn County Sheriff’s Office Animal Control. The purchase of the trailer was made possible by more than $22,000 in donations and grants from the Linn County Kennel Club, Standard Schnauzer Club of America, Linn County Government, Silver Falls Kennel Club, Chintimini Kennel Club, McKenzie Cascade Dog Fanciers, Clackamas Kennel Club and AKC Reunite, the nation’s largest non-profit pet identification and recovery service. “We are grateful to these AKC clubs and AKC Reunite for providing us such an important tool for our community. 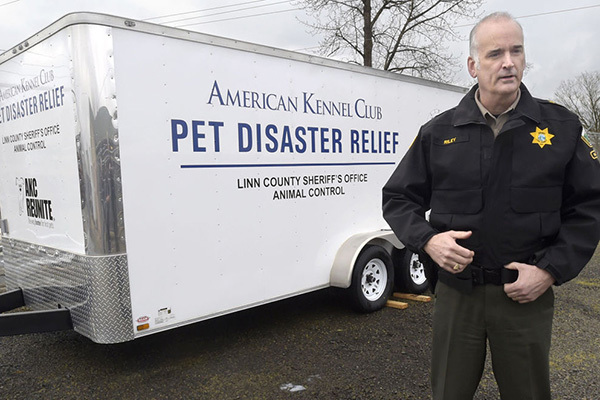 Now our team is better prepared to help pets and pet owners during times of disaster,” said Sheriff Bruce Riley, of the Linn County Sheriff’s Office. 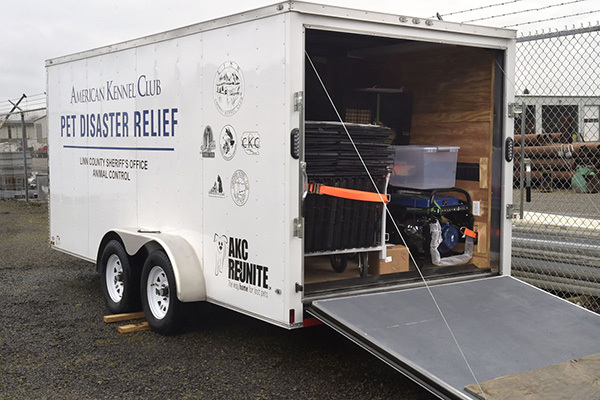 “Our club is proud to be a part of the group helping provide the county emergency services by bringing them an invaluable tool like the AKC Pet Disaster Relief Trailer,” said Harvey Mohrenweiser, Delegate of the Standard Schnauzer Club of America. 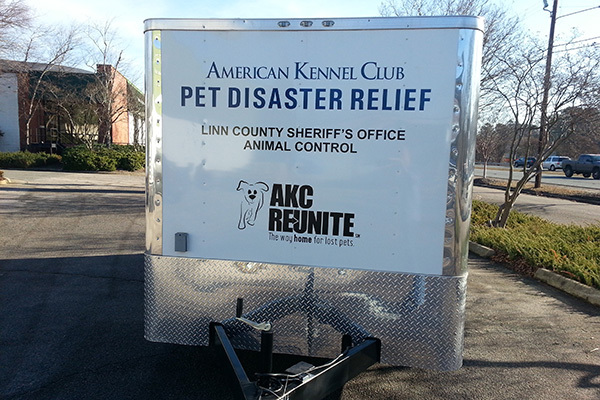 “We’re very pleased to help bring an AKC Pet Disaster Relief Trailer to the county. It is hoped that the trailer will provide much needed support to pets and pet owners during their time of need.” said Marge Nelson-Perez, President of the Linn County Kennel Club.